When dawn broke on D-plus-One, 1/24 discovered that they had been lucky, relatively speaking, despite the shelling and the “moderate casualties” of the night before. The Japanese garrison, having failed to destroy the Americans on the beach, attempted to push the Marines back into the sea. Their attacks were disjointed – indicative of the serious disruption that plagued their communications – and there was little chance of success. Screaming Japanese soldiers, intent on zemmetsu (annihilation), were riddled by the defensive fires of the 23rd and 25th Marines. In a nightmarish scene illuminated by burning vehicles, artillery, small arms fire and naval star shells, the lines of the 25th bent back nearly 400 yards, but refused to break. Marine halftracks rattled up and down firing their big 75mm guns, while the Japanese walked artillery shells along the beach all night. The 23rd Marines, while not as heavily engaged, faced the threat of infiltrators; theirs was a personal, vicious battle for individual foxholes with bayonets, knives, and fists. Only 200 Japanese soldiers managed to make it through the swamps of Lake Susupe into Charan Kanoa, where they caused some minor havoc before Marines hunted them down. The ruins of the sugar refinery in Charan Kanoa. 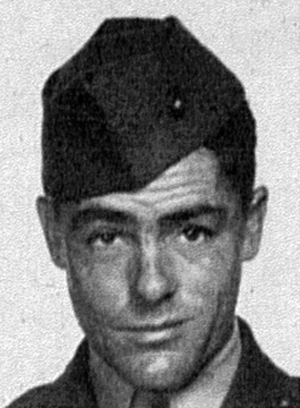 John Waytow as a corporal at Camp Pendleton, 1943. The holster on his web belt contains his wire cutters, essential tools of the trade. W. Eugene Smith took this photo of a father and daughter approaching Marine lines on Saipan. Still, Stott worried that the regiment was in a decidedly unfavorable defensive position. To make matters worse, someone had picked a conspicuous clump of trees as the regimental command post. The constant stream of bustling orderlies, messengers, and officers might have been comic at Pendleton, but not when it was so highly visible across a shell-torn clearing, mute testimony to the work of Saito’s gunners. To a Japanese artillery spotter, the clump of trees was as inviting as a blinking neon sign. The party from 1/24 arrived at the CP shortly before 0730, and the first Japanese shells were hot on their heels. “We were soon hugging the ground throughout a bombardment the equal of anything undergone the previous day or night. Cover was scarce, several casualties were suffered, but the conference of battalion commanders continued in a dugout,” wrote Stott. 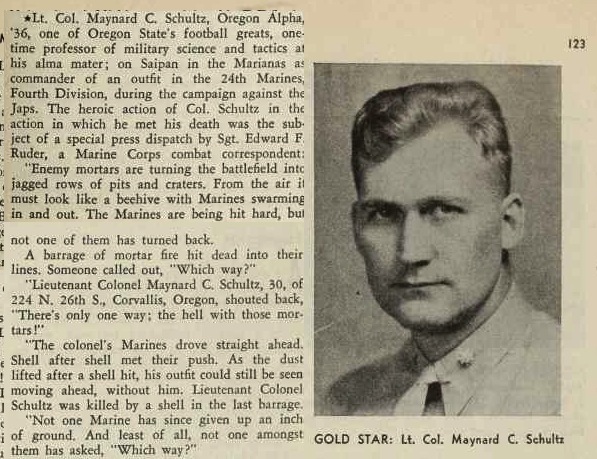 A correspondent’s dramatic re-telling of Lt. Col. Schultz’ death in the Sigma Phi Epsilon journal, November 1944. Poor Captain Mundy, who had arisen that day prepared to argue about supplies and operational logistics, was suddenly thrust into the role of battalion commander pro tempore until the next senior officer could take over. 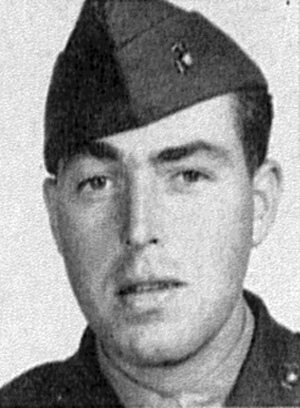 Technically speaking (and according to the record) that officer was Major Robert N. Fricke, the battalion’s executive officer. According to Stott, though, “the real job of running the battalion devolved upon Mundy, with what aid Captain [George] Webster (the Intelligence officer) and I could furnish him. He responded magnificently, and was the man chiefly responsible for knitting together the splendidly functioning companies with the staff and the succeeding commanding officers.” On paper, Fricke was in command until relieved by Lt. Colonel Austin R. Brunelli on June 18. The death of Schultz and the ever-present Japanese shells that continued to fall at random delayed the division’s 0900 jump-off until a general attack launched at 1230. The infantry, supported by tanks, were to take the previous day’s objective in hopes of neutralizing some defenders and taking higher ground. The route meant that the 23rd and 25th Marines would spread out as they moved, causing the 24th to stretch like elastic between them. 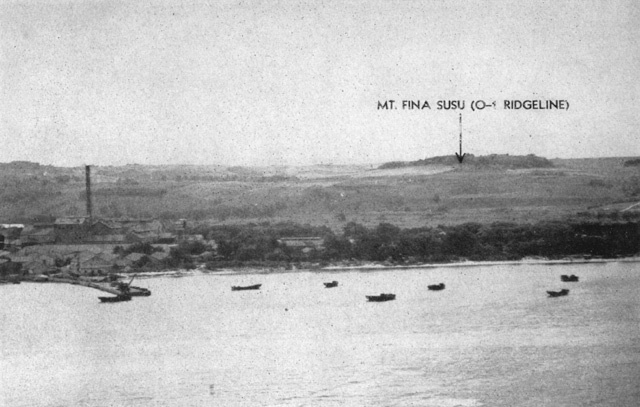 This recon photo from February, 1944, shows the general area of operations for 1/24. The refinery’s smokestack is at left; 1/24 bivouacked at right, and advanced through the field towards the O-1 ridgeline. By all accounts, the attack was a Herculean undertaking. A private in the 23rd Marines recounted how “Every one of us who came over the top was a sitting duck waiting to be shot. We were sent over in waves of 20 (plus or minus) men about two minutes apart. Our plan had been anticipated and their guns of all kinds had been zeroed in on every inch of this battlefield… all hell broke lose.” Gradually, the Marines gained a little ground; as 1/24 approached road junction CR 85, they ran into increasingly heavy machine gun and sniper fire. John Pope stands next to another capsized vehicle–this one Japanese–during the battle of Saipan. There he was several yards out front crouching behind a palm tree no more than six inches in diameter with a map spread out in front of him. Oh hell, we better cover him quick. The first squad moved forward on line with him; however we were not quick enough. A Jap sniper already had him in his sights. I stooped behind him just as a bullet hit him in the side and he went limp. I remember asking, “Where are you hit?” He said “I don’t know, but I can’t feel my legs.” I pulled his jacket up and saw a bullet hole in his side just under his rib cage with a small blister of gut bubbling out. Lieutenant Donovan was evacuated to the USS Pierce for treatment; he would die of his wounds two days later and be buried at sea. 1/24 reached the crest of the ridge at about 1730; they fell back a few yards, “so we could see anything coming up the other side when they were outlined against the sky,” and began to dig in. Few liked the look of the new position. The western slope was heavily wooded and provided protection from all but airburst shelling, while the eastern was clear and under close observation by the Japanese. Machine gunner George Smith recalled that the ridge looked “like a fire break,” while Frederic Stott said, “the position, with its possibilities of by-passed enemy and infiltration, had an unsavory odor.” Luckily, the supply situation had been straightened out somewhat, and the Marines could receive food, water, and ammunition. The attempt produced additional dead and wounded, and there remained insufficient time to evacuate the wounded. This situation, in addition to growing reports about infiltration, confirmed fears that our worst night was imminent. Furthermore the absence of enemy artillery indicated that we might expect the more silent but equally deadly variety of night activity – infiltration. It was standard procedure for Marine machine gunners to stake out their positions in such a manner that they could provide interlocking fire if needed. Positions needed to have a good field of fire, yet be inconspicuous—machine guns were favorite targets for Japanese infiltrators, and generally were not fired unless the line was in danger of being overrun—so choosing a good location was the primary concern of any good squad leader. 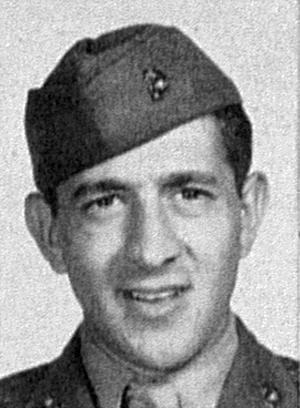 Able Company’s Corporal Anthony Pramberger, a veteran NCO from Forest Hills, New York, was one such Marine. He and his crew were heavy weapons veterans whose Browning M1917 water-cooled machine gun had seen action on Namur, and Pramberger’s experienced eye fell upon what looked like an excellent spot on a slight rise. 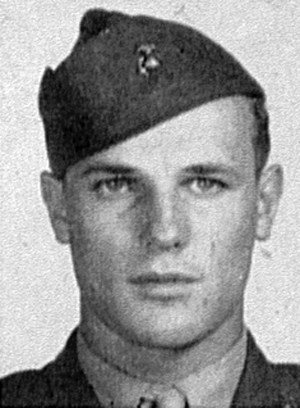 PFC John Pope watched the stretcher-bearers hustling back down the hill before turning his attention to the front. His gun was set up to cover a long stretch of road to the right of the line. Pope could make out the husky form of his friend, Corporal Felix Nawodczynski, who led a Baker Company machine gun squad. 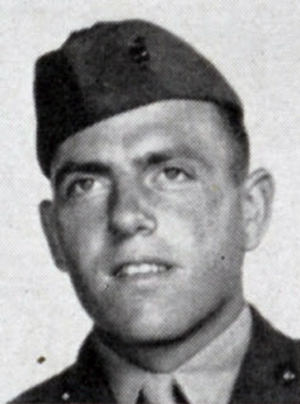 A few hundred meters behind Pope’s position, his hometown buddy PFC Jim Rainey was digging in his 81mm mortar, registered to hit any targets that came up the bare eastern slope. Between the heavy weapons, riflemen and BAR gunners tried to remember landmarks and aiming points in the gathering dark. Word was passed that the smoking lamp was out, and 1/24 extinguished their cigarettes and settled in for a very long night. The trouble began shortly before midnight. PFC Alan Milton Smith probably never knew what hit him. 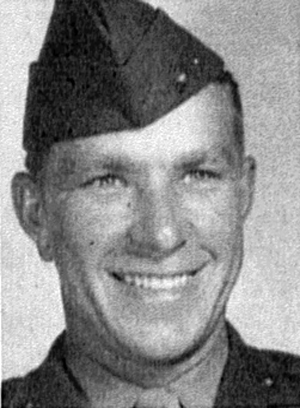 The 27-year-old from Philadelphia had seen a great deal of the world since his enlistment in January, 1942; guard duty in Florida, embassy duty in London, training in California, combat in the Marshall Islands, and rest camp in Maui. He could care less about seeing more exotic locales; he wanted to go back to Philadelphia and see the wife he married shortly before going overseas, and the young child he’d never met. 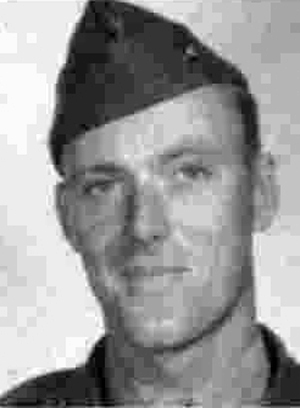 Here on Saipan, however, his buddies on his machine gun team were his family, from squad leader Corporal Pramberger on down to PFC Lawrence Jaster, the youngest ammo carrier. 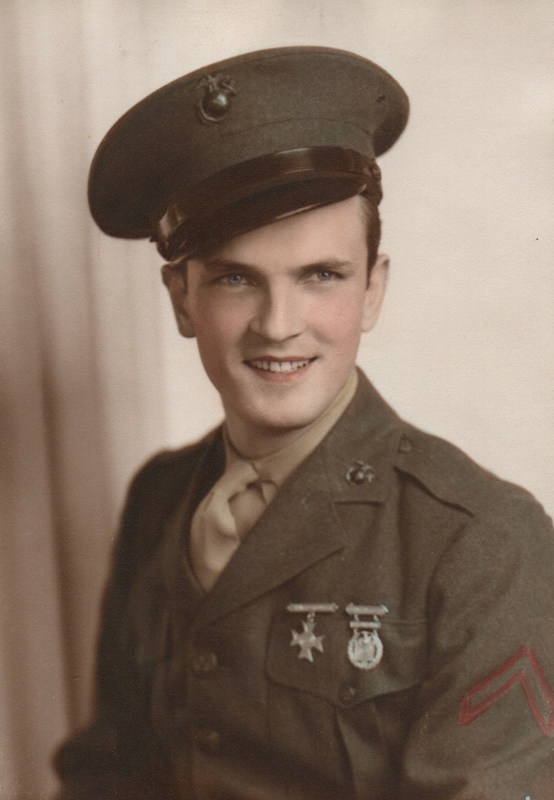 They were clustered together in Pramberger’s carefully chosen position when a single Japanese projectile—a grenade or shell, nobody knew for sure—got them all. The entire crew suffered serious wounds, and Alan Smith was killed outright. The Word spread quickly down the line. The loss of the gun meant Company A’s line was compromised, and meant that infiltrators were on their way. The hard-and-fast rule about not moving after dark was suspended in the emergency. Corporal Tom Hurley—Pramberger’s counterpart in another squad—tapped his gunner, PFC George Smith, on the helmet. “Come on,” he said, “we’re gonna go up there, get the gun, and bring them back.” Smith grabbed his carbine. Ahead of them, a handful of riflemen had had the same idea, spurred on by the cries of Pramberger’s squad. This was a favorite Japanese tactic to draw Americans out of their holes. 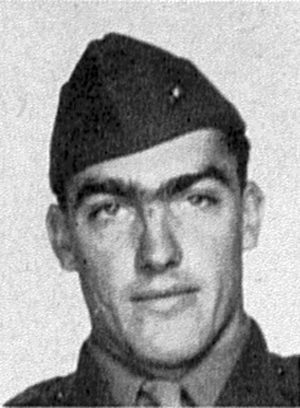 George Smith saw the flashing explosion that killed Corporal Benjamin Duryea and PFC John L. Manson just feet ahead of him. A second shell flew in on the heels of the first, sending Hurley and Smith sprawling to the ground, dazed but unwounded. Smith was still feeling the effects of his concussion from the day before, and this second near miss was too much. 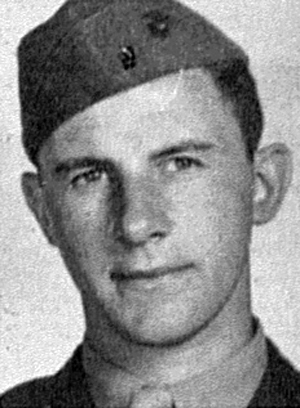 The commotion among the machine gunners attracted the notice of Sergeant Frank Tucker. 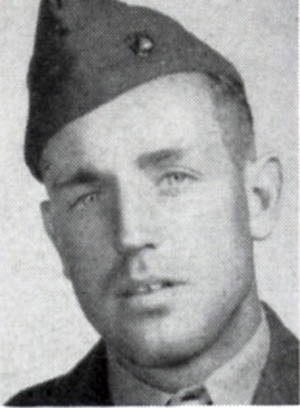 Tucker was one of the company’s bona fide heroes after earning the Navy Cross on Namur, but rumors of an accidental friendly fire incident caused his removal from the machine gun platoon. Now assigned as platoon sergeant to Lieutenant Paul Rossi of First Platoon, Tucker heard the commotion and evidently gathered that some of his former men were in trouble. Acting alone, and against all better judgment, the Okie sergeant left his position and went from post to post, checking up on the gunners before heading over to the company CP to make a report. The skipper, Captain Irving Schechter, must have been surprised to get such a report from Tucker, but accepted it with thanks and dismissed Tucker to return to his post. 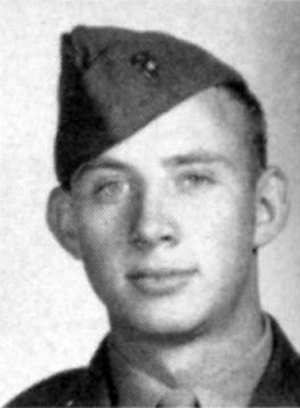 “The poor guy had just started to crawl back to his platoon when he caught a full machine gun blast in his stomach,” Schechter said in 1982. “My God, was he riddled! Even today I can see him, literally cut in half. I used to wonder what the people back home thought when they saw the name of someone they knew on a KIA list. Did they think the corpse looked like the one they’d seen in a funeral parlor back home? Because if they did, they were sadly mistaken.” A different version of the story had Sergeant Tucker shot down by a nervous BAR man for failing to respond to a challenge; instead of giving the countersign, he simply said “It’s me, it’s me.”  His body lay on the field until morning. Miami (Oklahoma) Daily News-Record, July 10 1944. 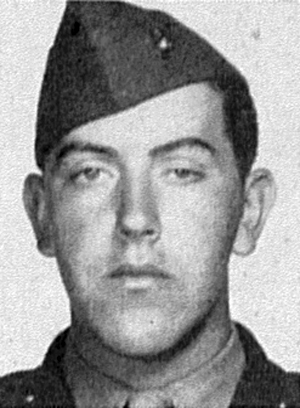 Not far away, PFC Robert Tierney was crouched in his foxhole, dug in at the edge of a sugar cane field. “Our company dug in two rows, about ten yards apart,” he recalled. 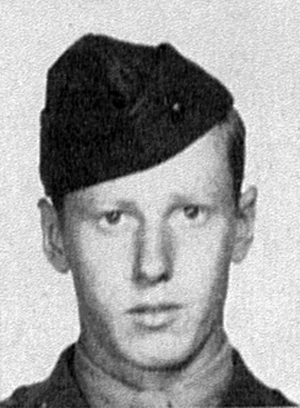 “The second row was about 15 yards behind us and offset in checkerboard style.” The 19-year-old BAR gunner, part of Sergeant Mike Frihauf’s special demolitions squad, remembered the sergeant’s admonishment of the previous day, but the sounds that worried him tonight weren’t artillery—it was a scuffling and commotion from a friend’s foxhole. Tierney knew his good friend PFC Fred “Staten Ivy” Iverson was in trouble. “Okay, Ivy?” he called. “Okay, Bob” came the response. Another hour passed in quiet, and then a second struggle broke out. Once again, it was “Okay, Ivy?” and “Okay, Bob.” By morning, two dead Japanese lay next to Iverson’s hole. “He happened to be right on the path where they were trying to get by-past him, trying to get back to their places. He killed them with his bare hands,” recalled Tierney. Over in Baker Company’s sector, the scene was even more horrific. They could doubtless hear the spat over Pramberger’s gun, and while they might not have known the details, it was clear that something was brewing. Suddenly, they heard a chattering to their front—foreign voices coming closer. The sharper-eared Marines detected female voices, and the word was passed to hold fire. “We heard the voices of women and other rackets indicating [that] a group of people were approaching our lines and would soon come into view on the skyline,” remembered John Pope. “We had never fought on an island where women and children lived so we hesitated to fire when they came among us. A terrible mistake on our part.” Hidden among the terrified civilians were armed Japanese soldiers, who had gambled—correctly—that the Americans would not open fire until it was too late. The memory of that terrible night would haunt John Pope for the next seventy years. All of a sudden, we were in the middle of a terrible hand-to-hand, close up fight. We were in two-man foxholes, so we naturally watched each other’s back. It was a wild few minutes before a flare exploded overhead and we could see who was who. I remember catching a glimpse of [Felix Nawodczynski], a big 200+ pound friend just to my left. A small teenaged looking kid [came up] behind and jumped astride his back with his arms locked around [Felix]’s neck. [Felix] was trying to reach over his shoulder to grab the kid, but a grenade exploded between them. The kid had the grenade under his shirt, pressed tightly between them. It blew [Felix] almost in half. Someone yelled, “Marines stay down,” which was a good idea because this helped to separate us a little. I do not know how long it was before some of the enemy made it back over the ridge and it quieted down a little. During [the attack] neither Bobby [probably PFC Robert Sherrill] nor I fired a shot. We were squatted down waiting for a clear shot. I heard Joe sobbing in a foxhole close by. I asked, “Are you all right Joe?” He responded saying over and over, “I just killed Murphy,” his foxhole buddy and close friend. Fighting up close is always the worst kind, but it is really bad at night. I do not remember how many men we lost in that little battle, but those of us who survived had a mindset that never again would we be taken in by such a terrible trick. Not surprisingly, the battalion noticed an increase in combat-induced stress casualties on D+1. A slug of brandy and a rest could calm some like George Smith, but other cases were more serious. 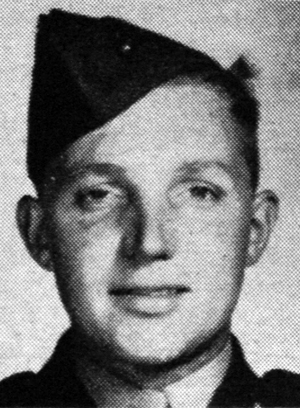 PFCs John Czepiel (A/mortars) and Raymond Cable (B/rifleman) were taken off the line; Cable recovered and returned, but Czepiel was through with combat. The senior enlisted corpsman, Chief Pharmacist’s Mate Winston Blevins, was overwhelmed by flow of casualties. When wounded himself, Blevins was hospitalized more for “combat fatigue” than physical damage. Combat fatigue, psychoneurosis, war neurosis—by any name, it was as serious as any wound, and few blamed a man who had reached his breaking point. All knew that theirs was coming; the only question was when. Fire Team Leader, A Co.
MG Ammo Carrier, A Co.
MG Section Leader, B Co.
Fire Team Leader, B Co.
MG Squad Leader, B Co.
MG Ammo Carrier, B Co.
Cpl. 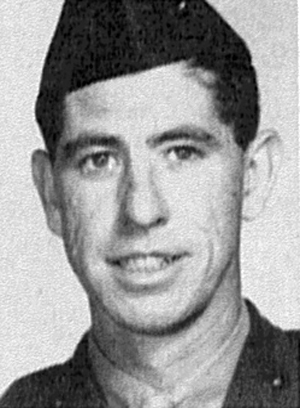 Harry J. Watkins, Jr.
Cpl. Harold E. Carter, Jr.
PFC Jesse G. Acklam, Jr.
Sgt. Guy R. Bulifant, Jr.
PFC John O. Edwards, Jr.
 Frederic A. Stott, “Saipan Under Fire” (Andover: Frederic Stott, 1945), 3. Carl W. Hoffman, Saipan: The Beginning of the End (Washington: Historical Division, US Marine Corps, 1950), 71-73. Stott. The nickname “Heinie” is attributed to Captain Irving Schechter of Company A in Henry Berry, Semper Fi, Mac (New York: Harper, 1982), 224. John Pope, Angel On My Shoulder (Kindle Locations 924-926). John Pope. Kindle Edition, (2013-11-30). 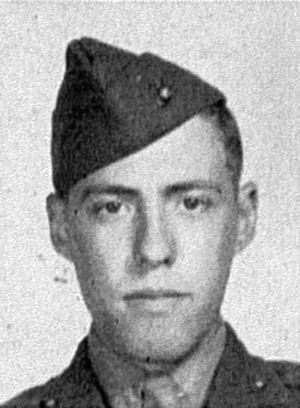 Although both George Smith and Alan Smith were Philadelphia natives, they were not related and knew each other only by association in the platoon. George A. Smith, interview with the author, November 2009. 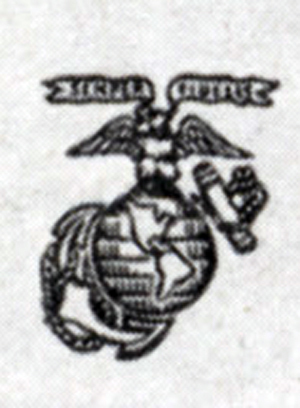 Henry Berry, Semper Fi, Mac (New York: Harper, 1982), 225. A veteran who wishes to remain anonymous related this story to the author. 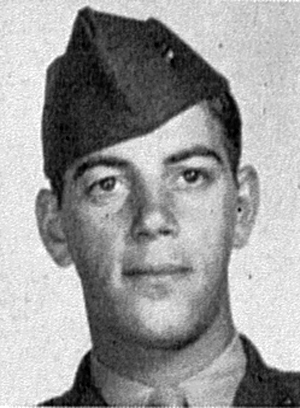 It cannot be officially verified; Schechter took pains to note that “Tucker had definitely been killed by Japanese fire;” Tucker’s casualty card simply notes he was killed by bullet wounds, and a variety of newspapers gave lurid and conflicting accounts of the hero’s demise. Friendly fire incidents were not uncommon, and neither was their suppression by the men of a unit. Also, the name of the BAR gunner is not known; if this story is true, the unfortunate man lived with the guilt for the rest of his life. 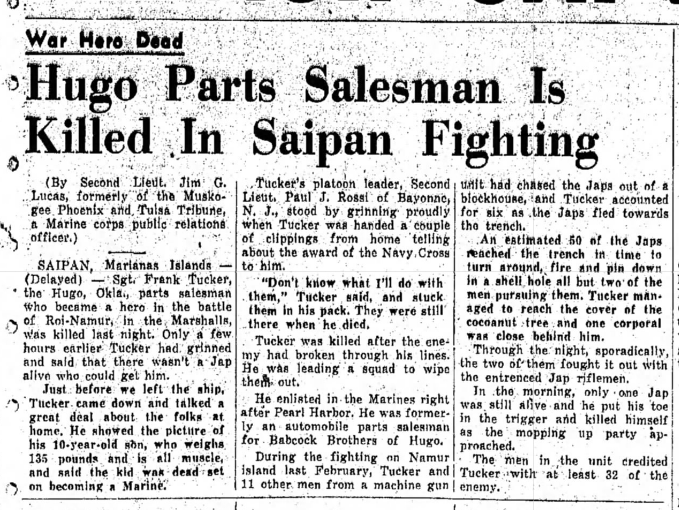 Tucker is officially listed as being KIA on June 17, 1944, which likely means this event occurred at some point after midnight. It is also possible that, if his fate was not known for certain until the morning, the last possible date of death would be given. Over the course of the campaign, several men from 1/24 were listed as “found dead in the field” – killed overnight and not discovered until the morning. 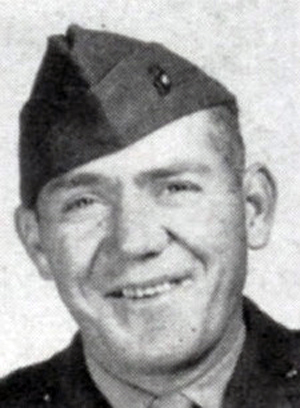 Robert E. Tierney, “My Marine Corps Experience.” Iverson was so nicknamed because he hailed from Staten Island; 1/24 muster rolls note that he was wounded in action on June 16 and evacuated shortly thereafter, probably the result of his scrape with the infiltrators. Robert E. Tierney, interview with John K. Driscoll, oral history interview, Wisconsin Veterans Museum, March 31, 2005. “Murphy” is almost certainly PFC Joseph Terrence Murphy, a machine gunner with B/1/24. The identity of “Joe” is not known. Anonymous, “With Marines on World Battlefronts,” Marine Corps Chevron, 19 August 1944.